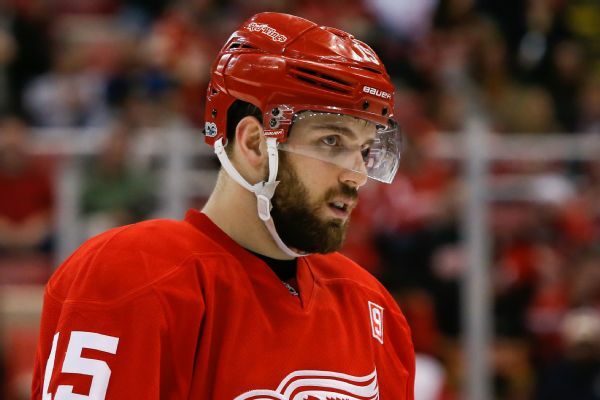 The Pittsburgh Penguins have acquired forward Riley Sheahan and a 2018 fifth-round draft pick from the Detroit Red Wings in exchange for forward Scott Wilson and a 2018 third-round draft pick. 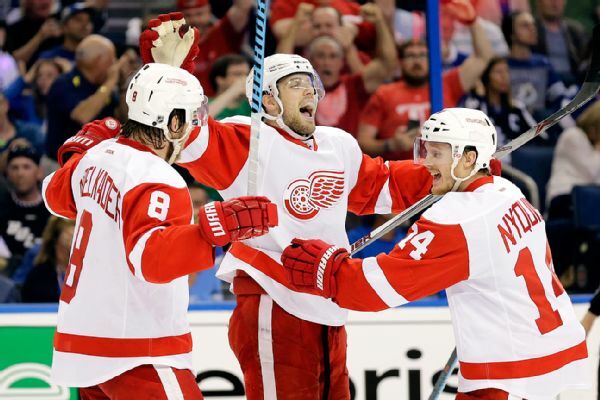 Sheahan has no points this season. 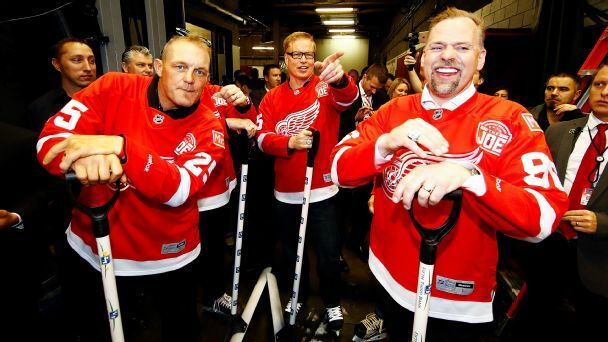 The last game at Joe Louis Arena was more about the people who made it great rather than a celebration of what the building itself meant to Detroit. 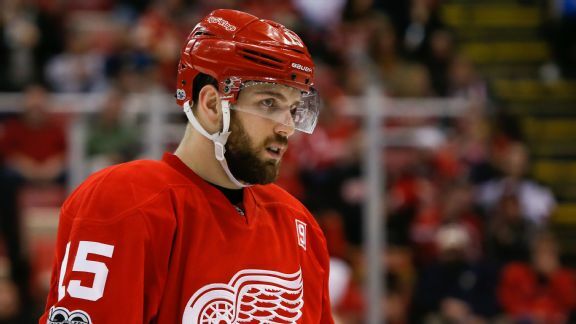 Red Wings center Riley Sheahan hasn't found the net all season, and recently set an NHL record for goal-scoring futility. 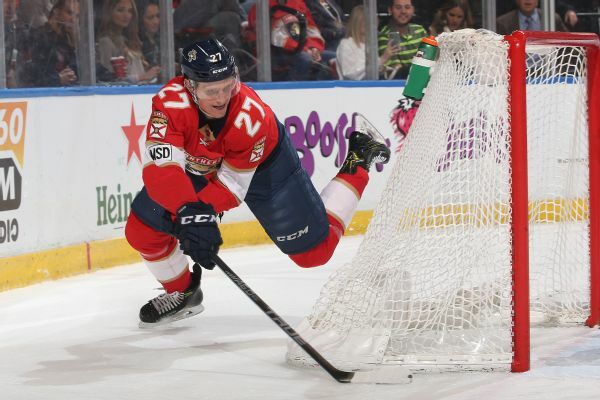 But he doesn't have to look far to find drought-busting hope. 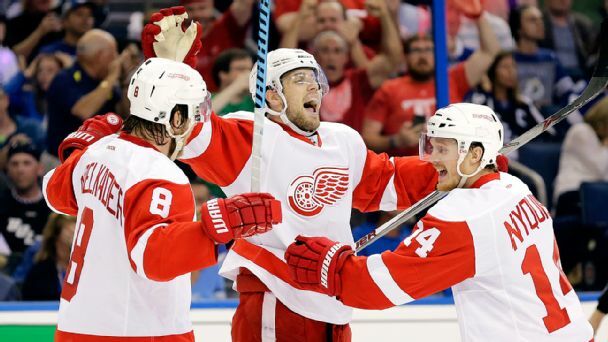 Center Riley Sheahan, who had 25 points last season, signed a two-year, $4.15 million deal with the Red Wings. 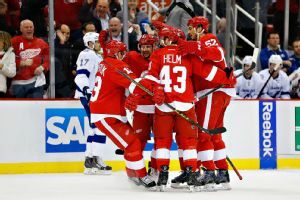 Red Wings C Riley Sheahan chats with Craig Custance about Detroit's journey to make the playoffs, facing Lightning GK Ben Bishop, Tampa Bay's depth and much more. 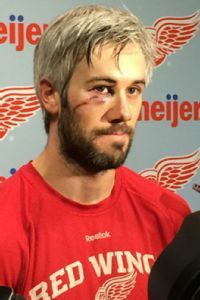 Red Wings forward Drew Miller announced after the team's morning skate that he will play in Thursday night's game against the Boston Bruins despite suffering a scary eye injury Tuesday. 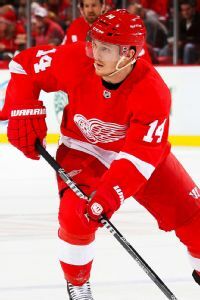 The Detroit Red Wings are something of a new look team in 2014-15, showing in their season-opening win over Boston that youth, speed and depth will be their calling cards this season, writes Katie Strang.